We are two good mates who share a love of great tasting food and have a passion for real health, on a deep foundational level. Being Aussies, we also love the odd Burger, Sausage roll or snag (Banger for you Brits) on the Barbie. What we don’t love though, is the negative stigma that sometimes comes with eating these so-called “junk” foods. We want to be able to eat the foods we love and not feel bad for it. By adding a spoonful or two of our delicious ferments to almost any meal, it dramatically improves the quality of that meal. We also believe healthy foods and tasty foods can be one and the same. 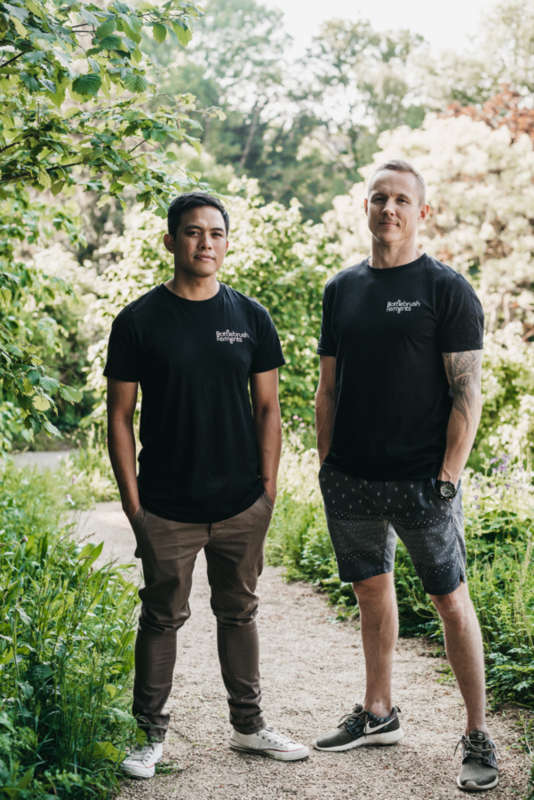 We (Bottlebrush Ferments co-founders Ben and Hesh) have many things in common, but we also have our own individual drivers behind why we wanted to bring Bottlebrush to the world. Ben – I’m a personal trainer and health coach with nearly 15 years experience, having worked in one of London’s most prestigious high-end private members clubs. I also ran my own successful body transformation business in Sydney. It was during this time that I got much more into the nutrition side of things and started to notice that most of my clients suffered from some kind of gut or digestive issues. Some were quite mild and manageable, some were more serious and sometimes totally debilitating. When I lived and worked in London the first time, I worked with some amazing people in health and fitness. Some of the trainers were the best I’d ever seen, but it was the other specialists, namely a functional medicine practitioner and colonic hydrotherapist who I would spend hours with talking about gut health and its implications on overall wellbeing. Bottlebrush Ferments co-founder, Ben has been eating and making fermented food and drinks for years. Hesh – I’ve been around food all my life and was exposed to fermented foods at a very young age. I witnessed my mum brewing Kombucha tea and making Asian pickles and it is something I have never forgotten. I started my professional career as a chef in Perth, Australia and then ventured off to London to expand my knowledge and love of food. I’ve worked for Alan Yau for most of my career but later hosted private bespoke dinner parties and supper clubs and most recently, was approached to work with Hemsley+Hemsley and helped open their cafe in London. Separately, we have also both had individual health experiences, which have lead us to this somewhat niche area of health foods. Hesh was inspired by his younger brother who has lazy bowel syndrome and a close friend that had cancer. 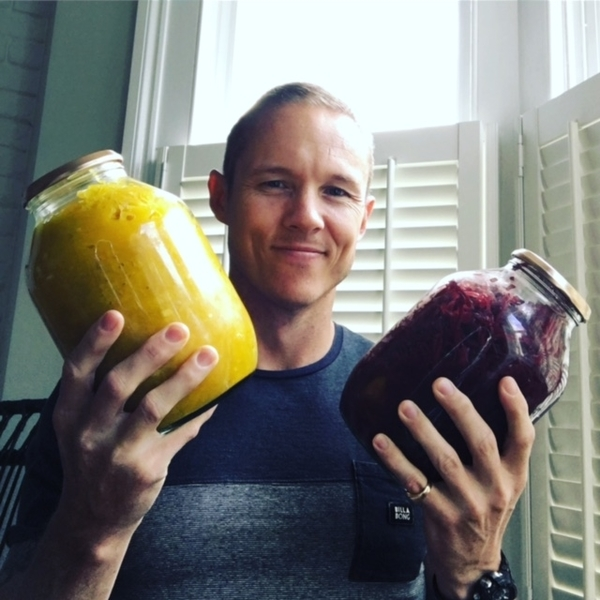 A few years ago Ben, along with a group of training clients, completed a 30 day elimination diet to improve his gut health and immune system and believes including fermented foods – Sauerkraut, Kefir and Kombucha tea, into his daily diet were major contributing factors in vast improvements in both of these areas. He has been hooked and making his own ever since. 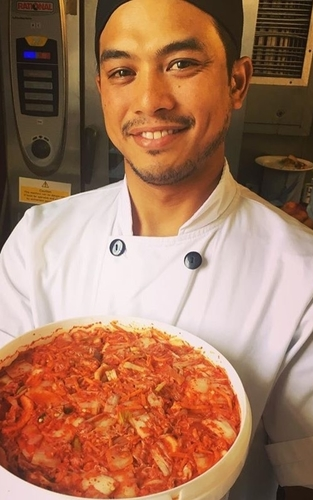 Together with their individual experiences and professional knowledge Ben and Hesh created Bottlebrush Ferments and are helping you look after your gut in a quick, convenient and tasty way.